2016 was the year of the strong female lead, or so we thought. From Jyn Erso to Harley Quinn, 2016 promised us a steady string of blockbuster hits this year featuring dynamic female characters in leading roles. Expectations were high, and Hollywood failed to deliver. Being several times larger than any of her male counterparts, it’s safe to assume the story revolved around Jyn, right? And it did, to an extent. 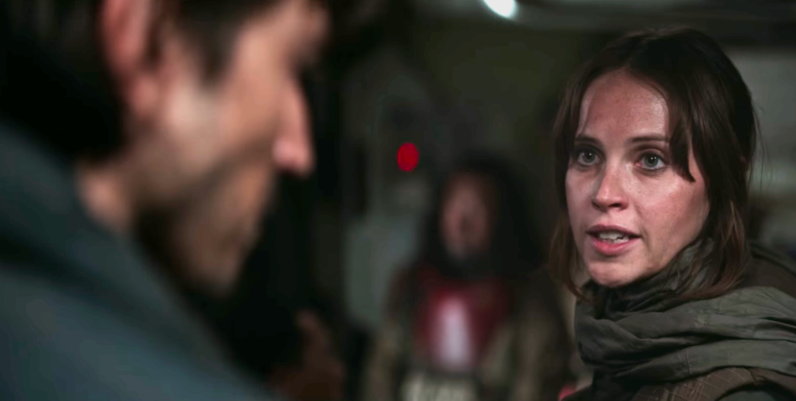 Jyn, though, was one of only a handful of speaking female characters. She accounted for 78 percent of the female speaking parts, and still managed to come in second to her male counterpart Cassian in her own story. Rogue One was a startling example of how bad it is in Hollywood for female actors — actors who accounted for just nine percent of the total lines spoken throughout the film. Of the 10 female characters with speaking roles in Rogue One, one was a computer voice, one appeared on screen for fewer than five seconds, and one was a CGI cameo with a one word part. I’d like to say it gets better, but the only film in 2016’s top 10 grossing movies that reached gender parity in speaking roles was Finding Dory, an animated flick about a talking (female) fish. I wish we could say 2016 just happened to be an off year, but numbers would point to it being the norm, rather than the exception. If you want to see the rest of Amber’s fascinating analysis, you can read the full story on Medium, or check out her amazing data visualizations here.